Don't miss the latest happenings out of Zermatt, including new lifts, terrain expansions, weather, photo galleries, infographics and current events skiers and mountain travelers should know about. Stay up-to-date on Zermatt news and events by clicking on articles from the list below or page through to see coverage from the entire ski season. This winter the TGV Lyria will travel from Lille directly and swiftly to the Swiss ski region of Valais. Zermatt offers a free day of skiing on packages through to June. Zermatt, which remains open for winter sports 365 days a year on the highest, and one of the largest, summer ski areas in Europe, is offering a free day's skiing and a night's accommodation for those booking a three day, or longer, package during the last two months of Spring. Several of Zermatt's leading hotels will reopen next winter after serious makeovers. There's also a new four-star hotel, the Matterhorn Focus, which will comprise eight suites, six junior suites and 11 double rooms. 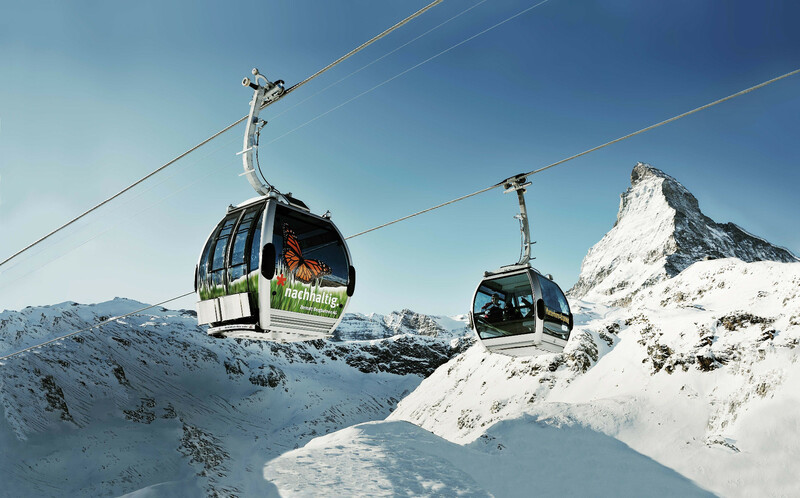 Zermatt, which managed to increase snowfall and thus business last winter when lower resorts had a ‘challenging season', has announced a host of new lifts and runs. Following the opening of the multi-billion pound/Euro/Dollar 34.6km (22 mile) long Lötschberg Base Tunnel, access from Zurich the Zermatt takes less than 200 minutes, cutting more than an hour from the old journey time. Superstar Alanis Morissette will headline an end-of-winter-season music festival at Zermatt. Morissette will perform on the second day of the Zermatt Unplugged festival which is scheduled to run from April 9th to the 12th at the famous Swiss village which is open for snow sports 365 days a year and runs Europe’s highest ski lifts. 365 day ski resort Zermatt in Switzerland, with Europe's highest ski lifts, has published lift ticket pricing for 2008-9, as well as summer ski season pricing through the year between the end of this winter and the start of the next.